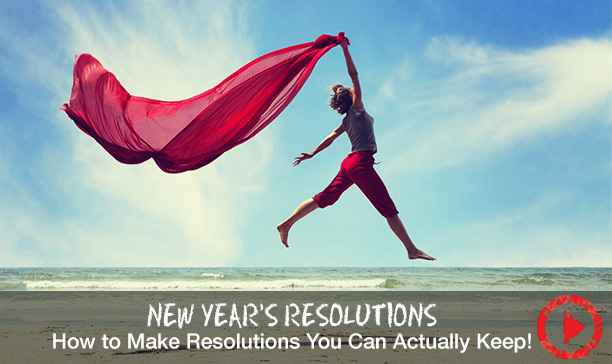 A lot of people set New Year's resolutions because they want to be better in some way. And that's great. I always say, strive to be the best you have ever been. If you're a parent and you have kids and you want to lead by example, you want to get your body back, you want to get your body back in shape, a great way to do that is to number one have your brain support you. And the way you make your brain support you in developing the type of habits that you want is start small. Pick something very small. Pick one habit at a time. If you want to change your eating habits, pick one meal at a time. Start with breakfast. Focus on developing the healthiest breakfast you can for a week. Don't worry about your other meals. Just focus on breakfast for a week. And after that week, then you can go on to another habit, maybe lunch or dinner. And in doing so, you're developing the kind of habits that will last, because your brain will develop a habit loop around supporting you towards those goals. So start small and make sure that you don't bite off too much too soon.